The preposition up in English normally shows us a direction, like up the mountain or up in the sky. There are some other, maybe unusual uses of the word up. 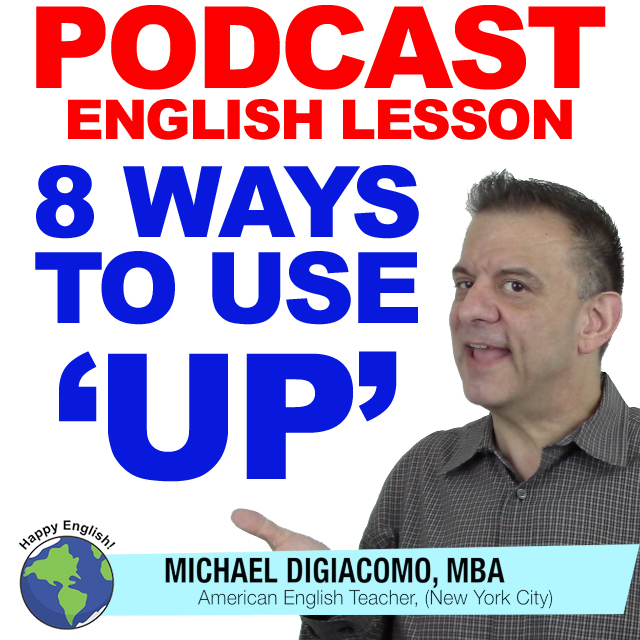 For today’s English lesson, I am going to show you eight different ways we use up. I’ve been up since 6:00am. I’m tired. Jim: Is the TV up? I can’t really hear it. Jenny: It’s up, but I think there is something wrong with the speakers. I’m not really feeling up today. I think I’ll go home early. I just finished my presentation. Now, you’re up. I’m up in ten minutes. I’m so nervous! I’m going to up to Bob’s house after dinner. Let’s go up to Central Park today. The contract for my cell phone is up in January. I’m going to upgrade my phone then. Jack! Are you up for a drink after work? Hey Jack! What are you up to?